About 10 months ago I joined the Windows Azure SDK team to help bring node.js to the Azure cloud. In December we had our first release of the Windows Azure SDK which enabled developers to publish node.js applications to Windows Azure Cloud Services as well as our npm module for accessing Azure services. 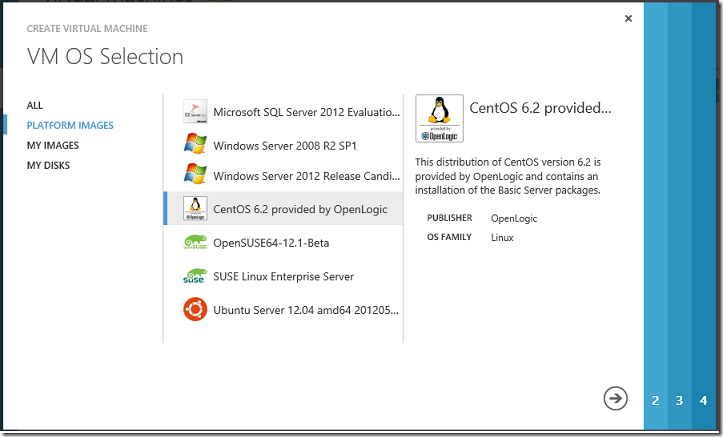 That release was a first step to bringing node.js to Windows Azure. We heard a lot of feedback. You told us you want to deploy faster and you want more cross platform support. Today, we’re giving you what you asked for and more. 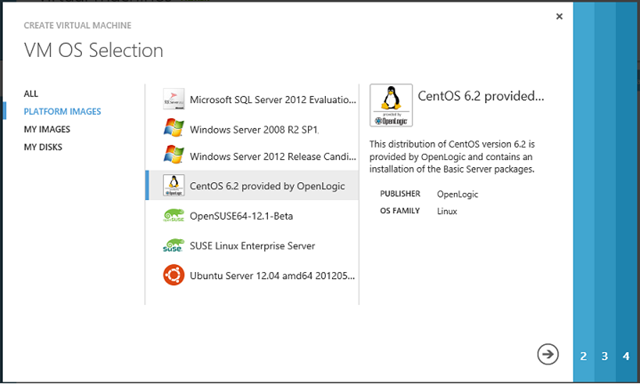 Windows Azure just got a whole lot better! As my Corp VP and rock star Scott Guthrie just announced, we’ve just released an overhauled, newer, faster and friendlier Windows Azure! We’re introducing new ways to deploy your applications including Linux and Windows Virtual Machines, and WebSites. Wanna run your favorite app server like Mongo, Redis or RIAK on Linux. Need to use a native module that’s not available on Windows, no problem. We have a new pure HTML administration portal that works on any platform, even a mobile device. We have both PowerShell tools and cross platform tools that you can use in Mac and Linux! Deploy a node.js application in seconds using our new Git deployment model, yes I said Git! Use either the portal or our CLI tools to manage all your Windows Azure assets. Deploy only your application. We’ll take your package.json and download all your npm modules on the server. At node summit we announced that Cloud9, the awesome cross platform web-based IDE for node.js development, added support for publishing to Windows Azure Cloud Services. Today I am excited to announce that we’ve been working with Cloud9 and along with our launch, Cloud9 is adding full support for Windows Azure Websites! From Cloud9 you can create sites and deploy them in seconds using Git! 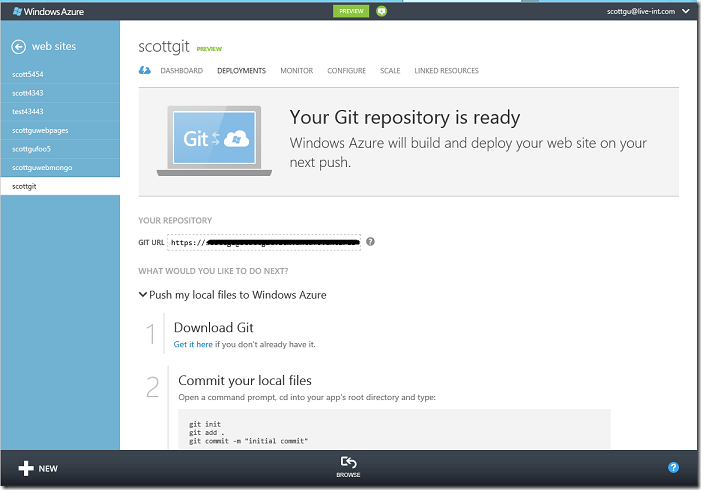 Head on over to our new Windows Azure developer portal for node.js developers and get started. I told you it’s a great time to be using Windows Azure! This entry was posted in azure, node.js. Bookmark the permalink. Follow any comments here with the RSS feed for this post. ANd try to access in incognito browser mode. Looks great, however I have only been able to access the ‘new’ portal once. Every other time I have used the ‘manage’ or ‘portal’ links on the azure website it takes me to what I can only presume is the previous (Silverlight) portal… Any ideas?